The Justice Department is planning to file a lawsuit against the Ferguson Police Department in Missouri if it does not agree to change policing tactics that are unfairly targeting minorities, CNN reports. Citing unnamed sources, the network stated that the department’s investigation into the Ferguson police force is expected to detail “a pattern of discriminatory tactics.” The ensuing report is said to feature allegations made by low-income residents that claim officers seek out minorities for minor traffic violations only to put them in jail when they cannot afford to pay the associated fines. The behavior of Ferguson police has been placed under a microscope ever since Officer Darren Wilson shot and killed unarmed black teenager Michael Brown in August 2014. The shooting sparked weeks of protests against what many believed was an example of police brutality. A grand jury declined to indict Wilson on criminal charges, setting off another wave of protests. 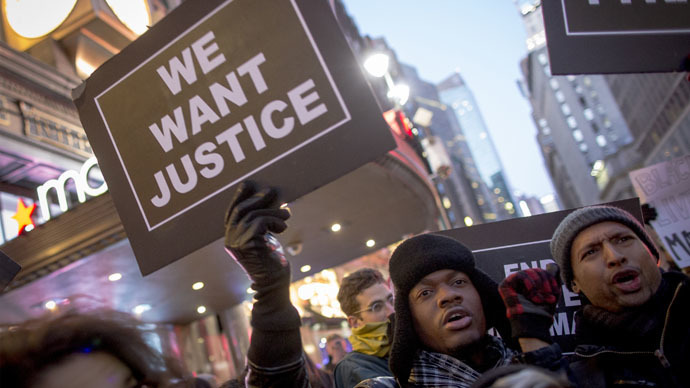 The Justice Department is running two separate investigations related to Ferguson. One involves whether or not Wilson violated Brown’s civil rights during the confrontation. Due to the difficulty of proving beyond a reasonable doubt that a “willful” violation occurred, the department is not expected to file civil rights charges. However, it is more likely to call for changes to the force through its larger investigation of Ferguson police practices. The agency has done so before in places such as Albuquerque, New Mexico, where broad reforms were mandated after a lengthy federal review into excessive force allegations. Attorney General Eric Holder said earlier this week that he is planning to reveal the department’s findings soon, before he leaves office.